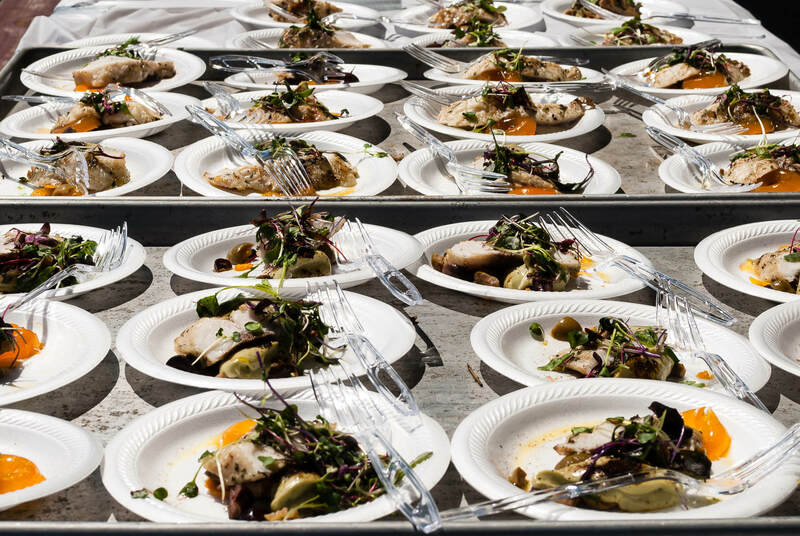 Whether it’s browsing the seafood counter at your local grocery store or enjoying a boat ride down the James River, you may have encountered one of the Bay’s most notorious invasive species: the blue catfish. Originally native to the Mississippi, Missouri and Ohio River basins, the blue catfish and its cousin, the flathead catfish, were introduced into Virginia waters by the state several decades ago to establish a recreational fishery. Since that time, these large, long-lived fish have expanded throughout much of the Chesapeake Bay region. To help understand what is currently known about these fish and how to manage their spread, the Chesapeake Bay Program convened an Invasive Catfish Task Force of state and federal agencies, academic institutions and other stakeholders to discuss the best coordinated management options for controlling the spread and population growth of these species. The task force recently released two reports synthesizing what is known about invasive catfish and offering recommendations for managing their spread. Blue catfish can tolerate higher salinity and eat a wide variety of prey, including blue crabs, Asian clams, insects, other fish and even vegetation. Flathead catfish are more prevalent in less salty waters, like the Susquehanna River, and feed mostly on other fish. 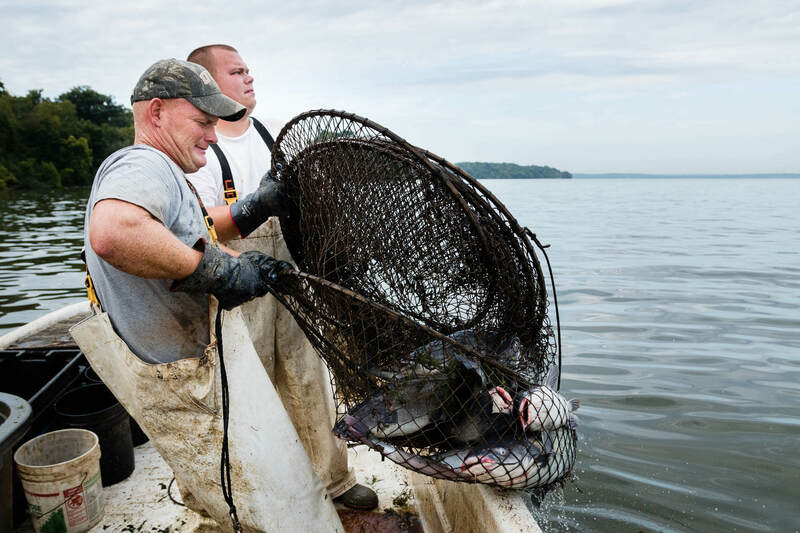 Their growing numbers and rapid expansion throughout the region have raised concern about their potential impact on shad, menhaden, blue crabs and other native species that play an important role in our ecosystem and economy. Preventing the spread of invasive catfish is the most effective way to avoid harmful impacts on invasive native species. Once a species is established, controlling it requires significant and sustained resources. The Invasive Catfish Task Force offers seven recommendations to help prevent the spread of invasive catfish. Remove invasive catfish from priority areas. Develop monitoring and response plans. Review fishing policies and regulations. One important element to making these actions as useful as possible is coordination. If actions are applied unevenly across the watershed, the catfish can move from one place to the other. Catfish can travel long distances and blue catfish in particular can tolerate saltier waters. In years like 2018, when the Bay received record-breaking rainfall, they can take advantage of the lower salinity and move into the Bay to spread into new rivers. Not all states have a dedicated monitoring program and those that do are not coordinated together. There needs to be more consistent monitoring across the jurisdictions—Delaware, the District of Columbia, Maryland, New York, Pennsylvania, Virginia and West Virginia—so if invasive catfish move to a new area, managers can respond to it before they establish themselves. That’s why the Bay Program’s Invasive Catfish Task Force has been working since its establishment in 2012 to bring together scientists and managers from across the watershed to learn from each other and work toward a coordinated response to blue and flathead catfish. While a coordinated, Bay-wide management plan has not yet been developed for invasive catfish, the task force will continue to serve an information exchange role and foster collaboration among management jurisdictions. Learn more about the impact of invasive species in the region.